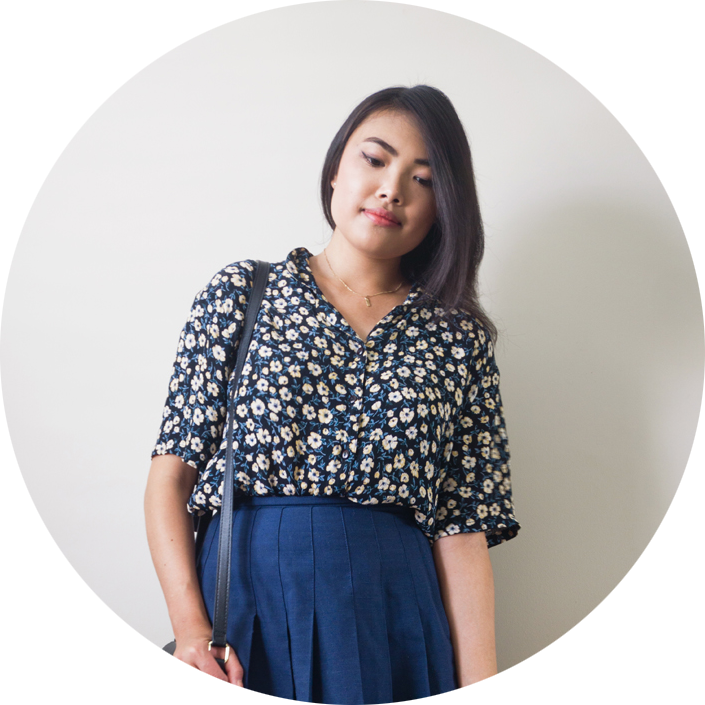 If you were to ask how I started studying Japanese, there’s kind of a funny story behind it. After all, there was no epiphany when I suddenly realised I was in love with the country. My twelve-year-old self didn’t wake up wanting to watch anime without the subtitles, and I certainly never thought I’d live and study in Japan one day. I just kind of fell into it, ever since I had to take the subject in school and never stopped! 1. Make use of the resources available to you. It’s pretty straightforward, but if you can take language subjects as an elective in school go for it! Personally, it’s impossible for me to learn without a teacher pushing me along since I have the discipline of a peanut. However I’ve met people who are entirely self-sufficient and learnt English on their own, so take into account your own needs. I know societies at my uni run free language classes, and even if it’s not much it definitely helps. 2. Flash cards are your best friend. 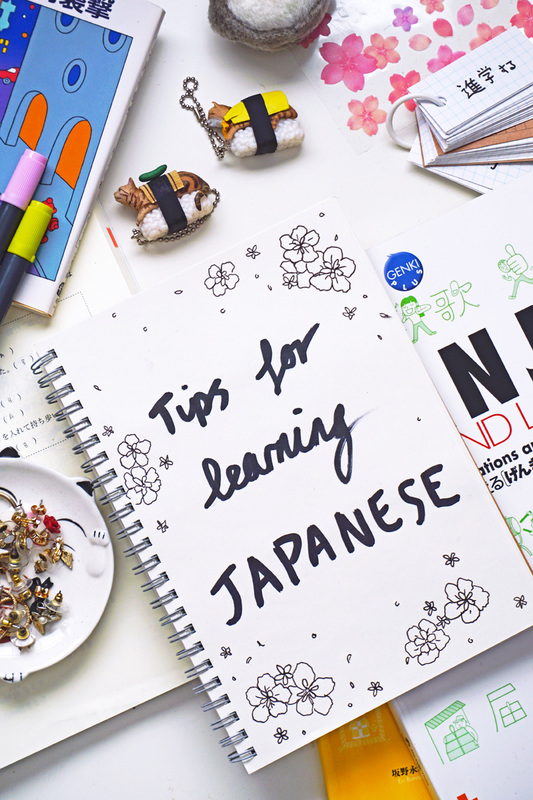 No matter what level you are, you’ll be doing a lot of memorising while learning Japanese. When you’re first starting out you’ll need to learn hiragana, the language’s most basic alphabet. Katakana is used for foreign words and then there’s kanji, aka the bane of my existence. Kanji is basically borrowed from Chinese and there are infinite characters for it, so the studying never really ends! In any case, when it comes to nailing those pesky pronunciations or word meanings, flashcards have been a total lifesaver for me. 3. Practise speaking in the shower. No, really! Don’t skimp on getting your pronunciation right, since it really shows when you’re out conversing in the real world. Another idea is to watch movies in your chosen language, and mimic the actor’s mannerisms. In any case, get used to talking without an accent as soon as possible to avoid sounding unnatural. Not only will you build confidence, I promise the words roll off your tongue easier once you’ve practised countless times in front of the mirror! 4. Find friends who also study the language. Ahh, the power of friendship. It’s kind of obvious, but having study buddies always makes learning funner and easier. You can practise with them, keep each other accountable, share each other’s resources… chances are, they’ll also be your go-to for language-related questions no one else will understand! There are always online forums for that purpose too, if you can’t find anyone to turn to IRL. 5. Follow as many Japanese social media accounts as you can. Personal friends, news websites, celebrities or social media influencers… you name it! Even if it’s only a little bit, exposing yourself to Japanese through social media helps keep that part of your brain active. Language is also forever changing, and slang words are especially hard to keep up with from another country. Through social media you can learn things you’ll never find in a textbook, I can guarantee that. 6. Have a genuine interest in it. In my opinion, there’s really no point in learning another language if you don’t plan on using it or aren’t interested in the culture. Especially in Japanese, knowing tidbits of culture is essential for understanding some words and nuances in the language! Even if you’re not into anime or manga, try finding other things that interest you and read up as much about Japan as you can. Learning Japanese has never felt like a chore to me, probably due to my undying curiosity for everything Japan-related. 7. Keep going even when it’s too hard. Real talk here, learning Japanese (or any other language, to be honest) is hard. Sometimes the tiniest differences in grammar can be so confusing, the frustration hardly seems worth it at times. More often than not, I’ve also glanced over articles and given up because the sheer wall of text is daunting. But like most things, it gets better with time. After all, if you intend on making progress challenging yourself is really the only way to go! Obento Supreme & Obento Deluxe – I used these textbooks early in high school, so they’re perfect for middle schoolers. While they’re pretty good for beginners, older peeps might find them a bit juvenile. Genki – I didn’t personally use these, but apparently these are widely used and also suitable for beginners. Wakatta! This is the textbook I used for my Japanese HSC. It’s quite thorough in terms of sentence structures, as well as providing examples in each chapter. Tobira: Gateway to Advanced Japanese – Coming straight from Wakatta! I found this one a bit advanced, but nothing I couldn’t handle. This is the textbook I used to continue my Japanese studies at uni. Minna no Nihongo – These books go all the way from beginners to more intermediate levels, and have been published in a range of languages. Dictionary for Basic/Intermediate/Advanced Japanese Grammar – I don’t personally own one of these, but it’s recommended for looking up grammar structures on the fly. Nihongo Sou Matome and other JLPT textbooks – These are the big guns, and are solely aimed at those wanting to take the JLPT (Japanese Language Proficiency Test). Jisho.org – Jisho is a comprehensive online Japanese dictionary, and pretty much indispensable to me. Besides definitions it includes tons of example sentences, as well as the feature of searching for specific kanji characters. Popjisyo – This is an online app, probably more suitable for intermediate or advanced learners. You basically type in a block of text or webpage, then voila! When you hover a word its reading and meaning will appear. Rikaikun – This Chrome plugin provides popup definitions of any Japanese words you might find when surfing the web. Although a bit slow at times, it’s definitely come in handy more than once! Japaneseclass.jp – This site is great for revising vocabulary or kanji knowledge. While I’ve never really used its lessons I really recommend the online quiz feature. Gaining combos and watching your score rise is addicting, to say the least! Duolingo – I don’t have much experience using Duolingo myself, but they recently added Japanese to the huge repertoire of languages you can study. Tofugu – In addition to language resources, Tofugu is packed with English articles for pretty much any topic you can think of relating to Japan. This post ended up being a lot longer than expected, but I hope it was helpful somewhat! Despite all the struggles, learning another language is totally worth it in the end. At least for me, it’s opened up another world of people to talk to, media to watch and read, and things to explore in general. If you have any language learning tips of your own, I’d be interested in hearing them!